Hey, jeaners! Kim here—Content Marketing Manager and your trusty writer of Off the Cuff. I don’t know about you, but I’m sure glad it’s officially spring. Not only for the warm weather, but the number of new trends, styles and outfit ideas that come with it. Last week, I had the opportunity to attend a Spring Trend Presentation event hosted by online retailer Shopbop at Hollywood’s historic Sunset Tower Hotel. Filled with a spectrum of colors, vibrant prints and vacation-ready essentials, let’s just say I was in spring style heaven. But it all got me thinking—these trends aren’t just for breezy dresses and tank tops. Denim follows the same patterns season after season too. So today, I’m taking Shopbop’s top spring trends and sharing how they translate into the denim world as well as some tips on how you can incorporate them into your everyday style. The moment I walked in to the event, my eye was immediately drawn to the vivid shades that lined each and every rack. To no one’s surprise, brights are back for spring 2019. We’re definitely seeing this trend in denim as well, but with a slightly subtler approach. Turning those vibrant hues into more muted, pastel shades not only makes them more widely wearable, but also makes for easier pairing with brighter shades and prints. 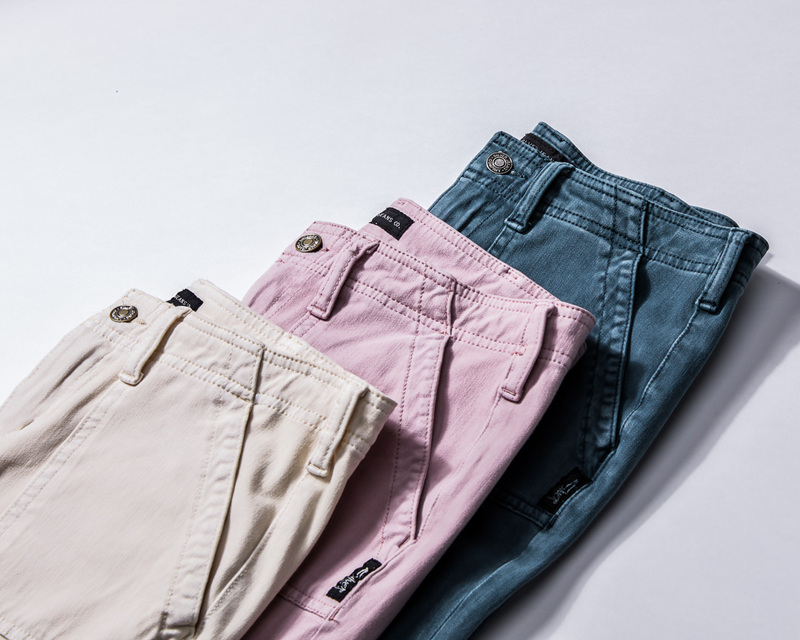 Case in point: our Utility Slim Crop and Avery Skinny Crop, both available in cream, mauve and slate shades. The word spring is basically synonymous with vacation. 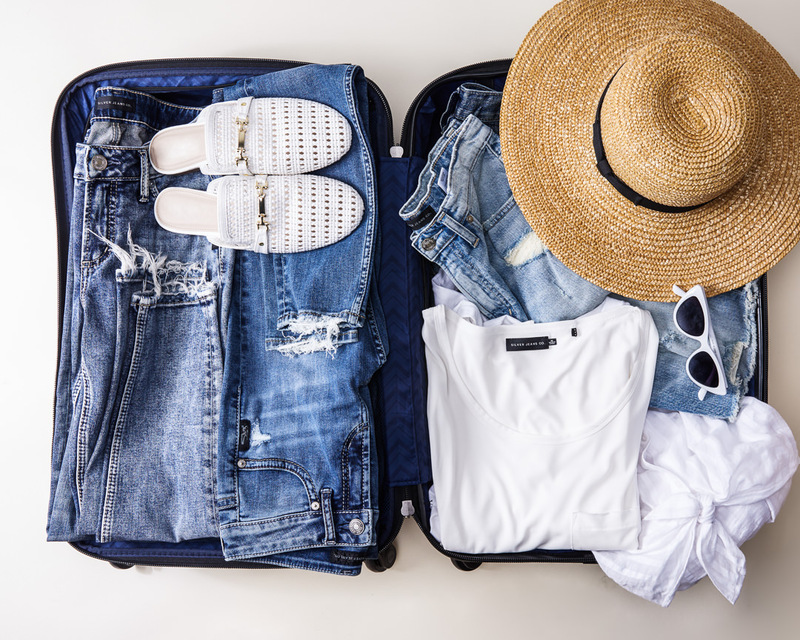 Booking the vacation is easy, it’s planning your outfits and packing that’s the difficult part. Palm leaves and other tropical prints were covering everything from swimsuits to kaftans at Shopbop’s event. But in addition to those, you need some getaway basics, and that starts with denim. For daytime, shorts are a must. 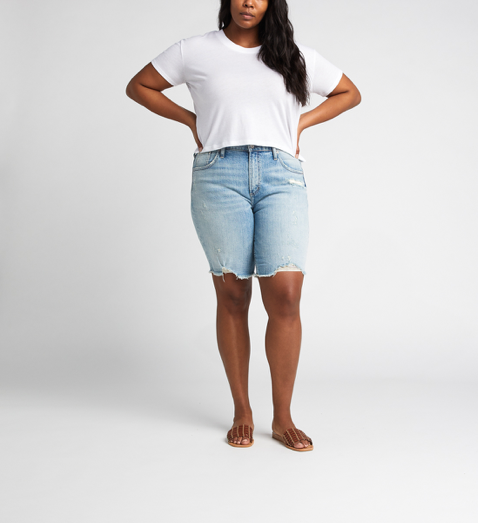 From classic cutoffs like this Elyse, to more of-the-moment knee shorts like our Frisco, you can’t go somewhere tropical without them. Denim works for after dark too. 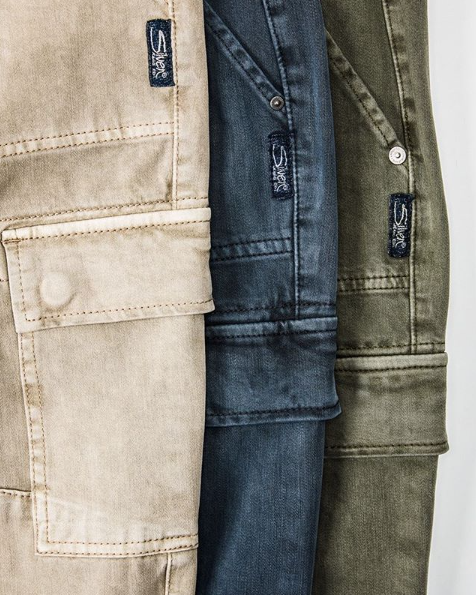 Trade your shorts for jeans, and stick with lighter wash pairs with a little destruction. 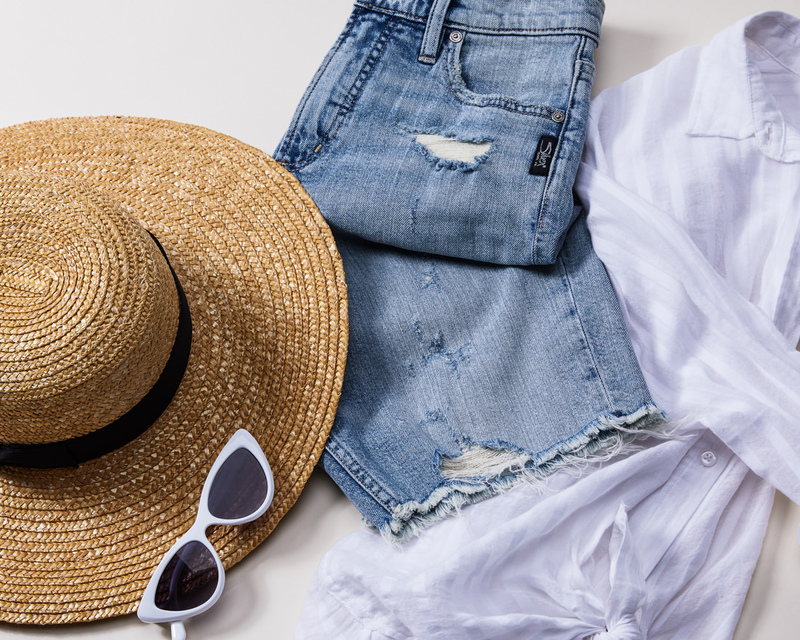 Fits like our high-rise Avery Slim or laid-back Boyfriend jean are perfect for pairing with a printed tank or kimono when the sun goes down and the island breeze picks up. No matter the season, the military trend always makes its way onto the runways. There’s just something about utilitarian details that are timeless, classic and totally versatile. 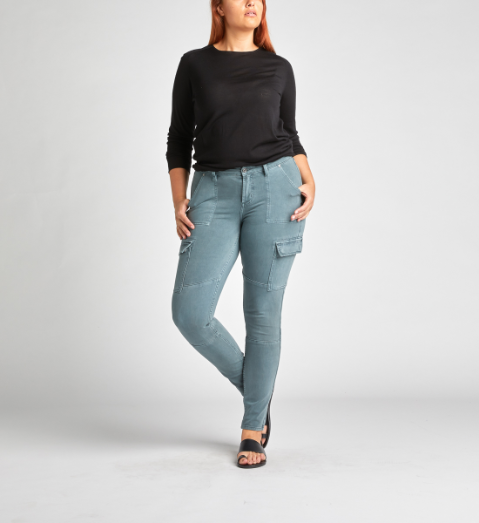 This season, we’re rocking the trend with our newest Skinny Cargo. 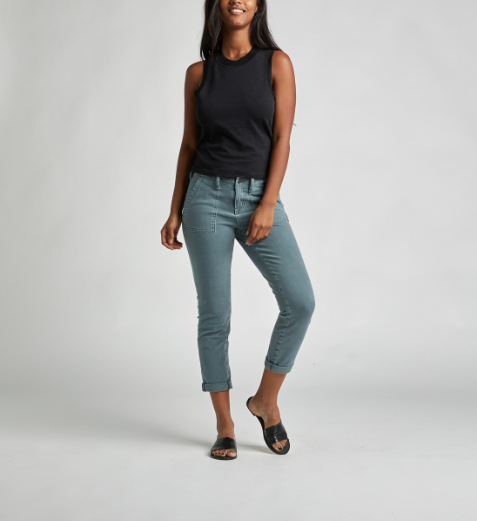 Complete with cargo pockets and topstitching, and available in olive, slate and stone, this pair is perfect for mastering the look in a more casual way. There you have it—how to wear spring’s top three trends with denim. Personally, I’ll be rocking all three all season long, but which one is your favorite–brights, getaway or utility? Tell us in the comments below or show us on Instagram with #silverjeans!